The PlasmaPro®NGP80 is a modular plasma processing system, configured to carry out plasma enhanced chemical vapor deposition (PECVD). The substrates to be processed are manually loaded onto a chuck within an aluminum vacuum chamber which is pumped down. One or more process gases is then supplied to the chamber from a gas pod and radio frequency (RF) power is used to create a plasma inside the process chamber. The reactive ionic species generated within the plasma are guided onto the front surface of the substrate. The resulting deposition can be controlled by altering the plasma conditions, the source gas for the plasma, the vacuum pressure, the substrate temperature, and various other parameters. The system can be used to deposit SiO2, amorphous silicon, or Si3N4. Low and high temperature recipes were qualified by the clean room staff and are available to use. For recipes, deposition rate, and film properties information you can view our process development file. 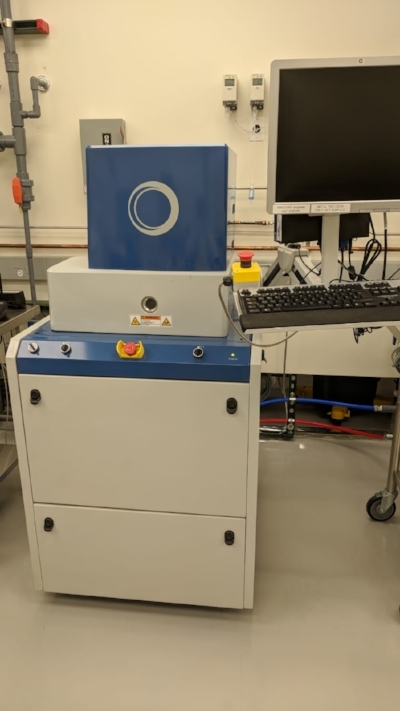 For additional information about the Oxford PECVD System, please contact James Vichiconti at jv2534@columbia.edu or email cnicleanroom@columbia.edu.